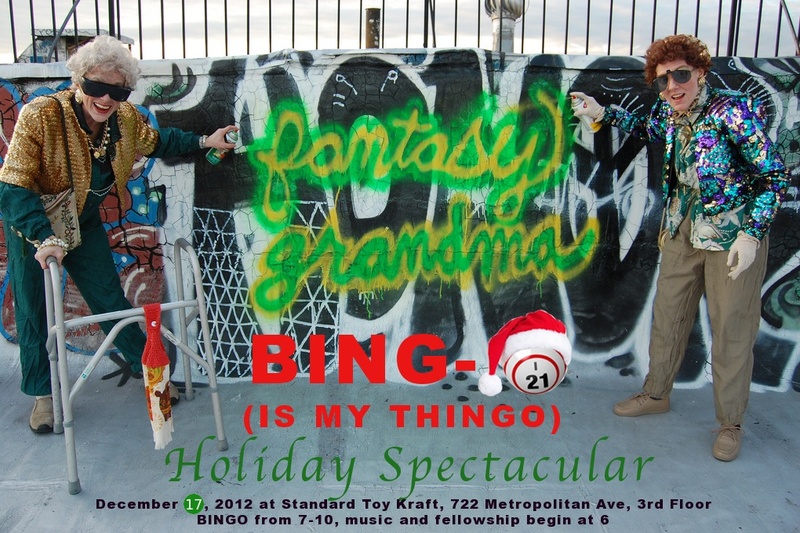 One way you can get us what we want is to come to our Bingo is my Thingo Holiday Spectacular. It's not only a great way to spend time with your grandmas, you can win things too! Bingo is my Thingo wil be this Monday, December 17th from 6-10. Wear your Holiday Finery and bring a covered dish made from at least one canned ingredient to receive $3 off admission. 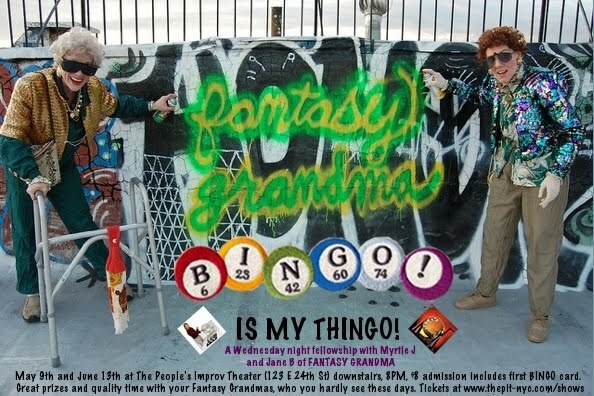 Dear Grandbabies, We are very excited to announce the first two dates of what we hope will be a monthly way for us to keep in touch and supplement our fixed incomes by winning at our favorite game, BINGO. It is our THINGO. It will be on Wednesday May 9th and Wednesday June 13th. Every since Myrtle J tried unsuccessfully to oust Agnes, who calls Bingo at the Silent View on Monday nights, from her position as Bingo Queen, and Jane got involved because she's nosy and likes a fight, we have been looking to have our very own Bingo night. 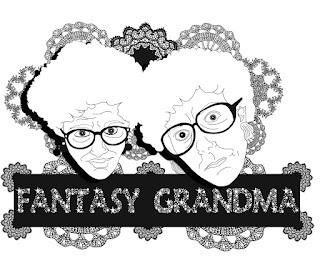 Now we have it, because our sweet grandbaby Jeffy got us into the PIT, which is where Satan lives, and we are some old lady hellians and if you come to our BINGO night you can win great prizes and have a great time with your grandmas who love you so much and want you to succeed so badly. That's all...we love you. We made a flyer. We want you to win. See you on Wednesday, May 9th. We will bring Jellos and chicken and there will be white wine spritzers for all of us to enjoy. You know we chose Wednesday because it has always been a day of fellowship. Admission is 8 dollars and includes a free BINGO card. Bring a covered dish and receive another BINGO card for free.